In this article, we are going to see how you can store the documents on SharePoint Online and how we can secure those documents through SharePoint Online security features. 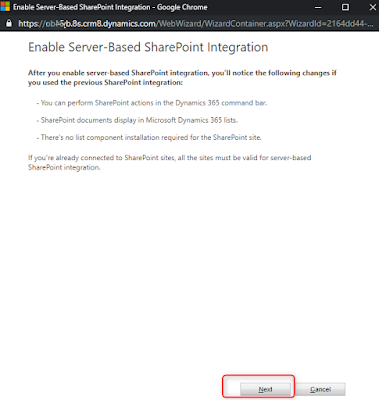 For using the document management functionality, you need to enable the server-based SharePoint integration on a Site Collection in SharePoint Online. 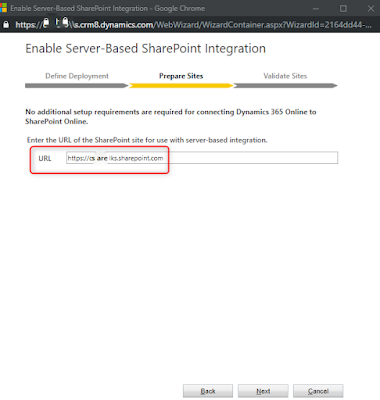 Note – Installing Microsoft Dynamics 365 List Component was used for SharePoint On-Premise earlier versions and is not required for SharePoint Online and later versions of SharePoint on-premises. 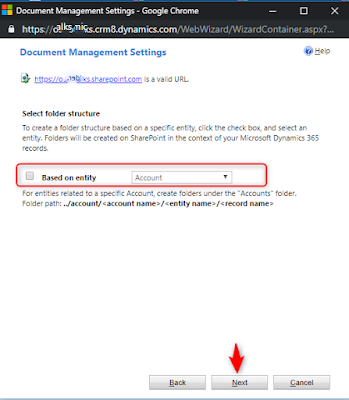 Login to Dynamics 365 Customer Engagement services > Settings > Document Management. 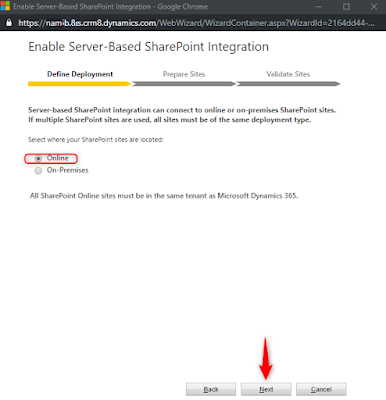 Under Document Management, go to Enable Server-Based SharePoint Integration. 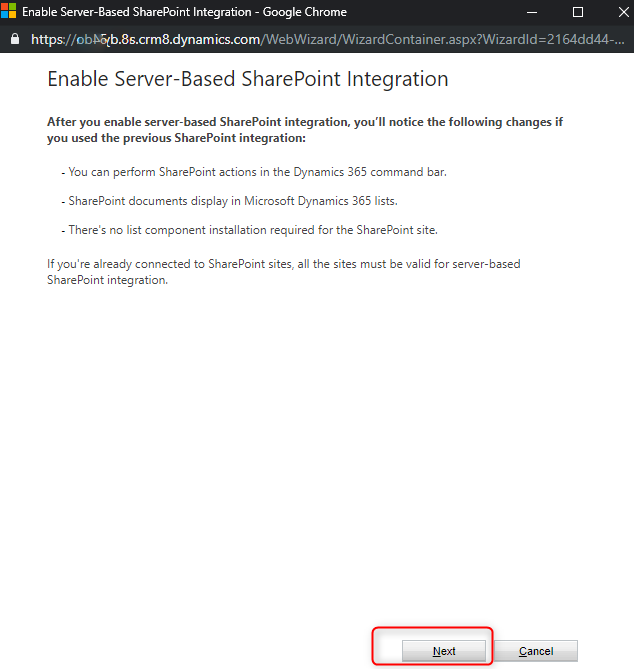 Check out the changes (in the below image) which you will notice if you have used the previous SharePoint integration and click on NEXT. 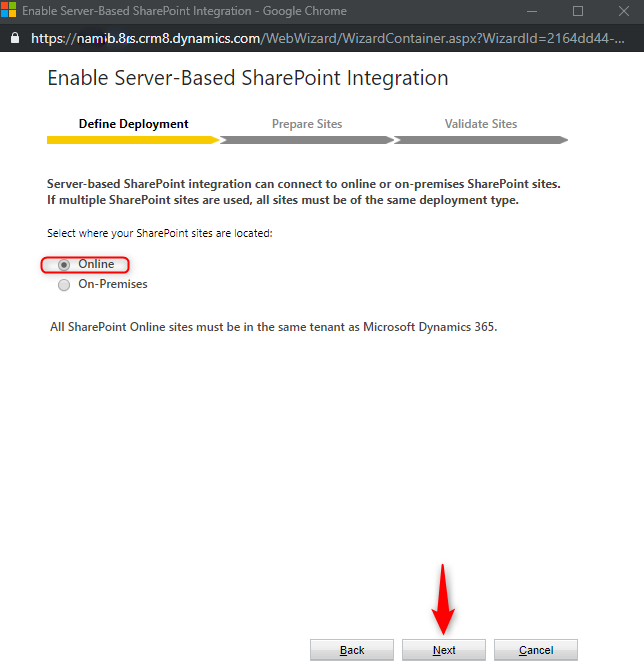 Select between Online & On-Premises depending upon the SharePoint infrastructure you have and click NEXT (check below image). 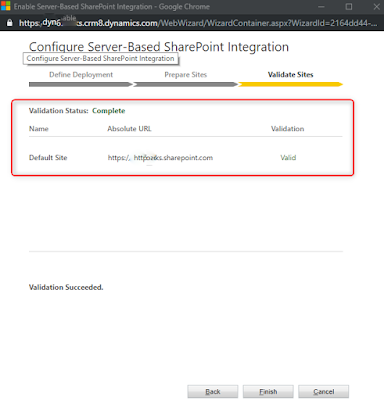 You can create Site Collection for SharePoint Online admin center. Here it will show the site URL validation status. 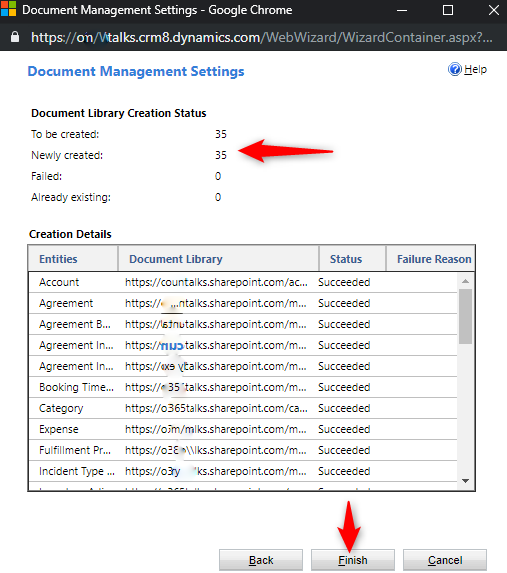 Click on NEXT after the validation succeeds. 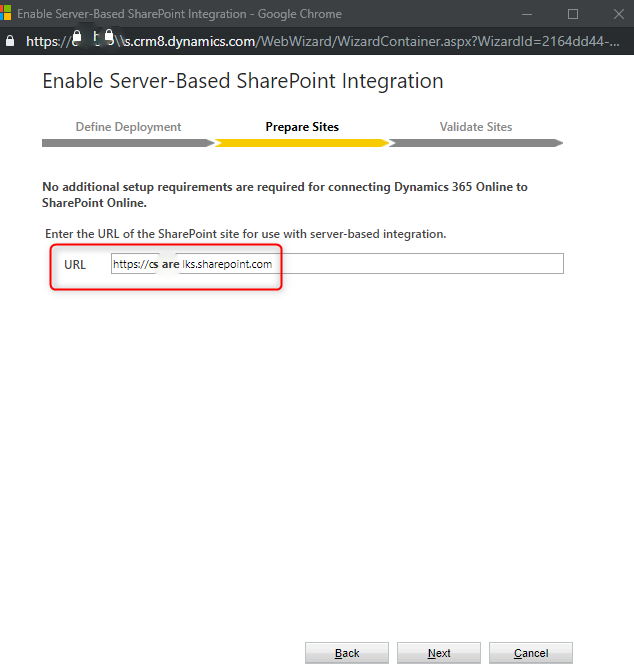 So we are done with the SharePoint integration. 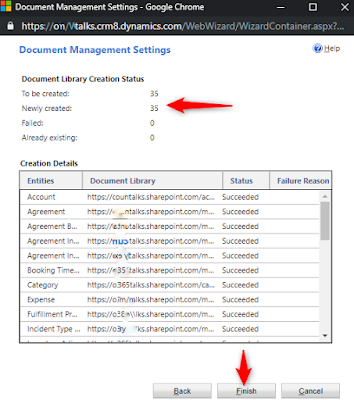 Now we need to enable document management for specific Dynamics 365 Customer Engagement Entities. Enable SharePoint document management for specific Dynamics 365 for Customer Engagement apps entity records. Go to Settings > Document Management Settings. 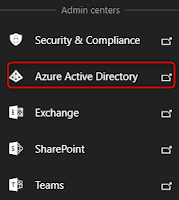 Select the entities (for eg, Accounts, Lead, Opportunities, Projects) for which you wanted to store the documents in SharePoint Online and click on NEXT. 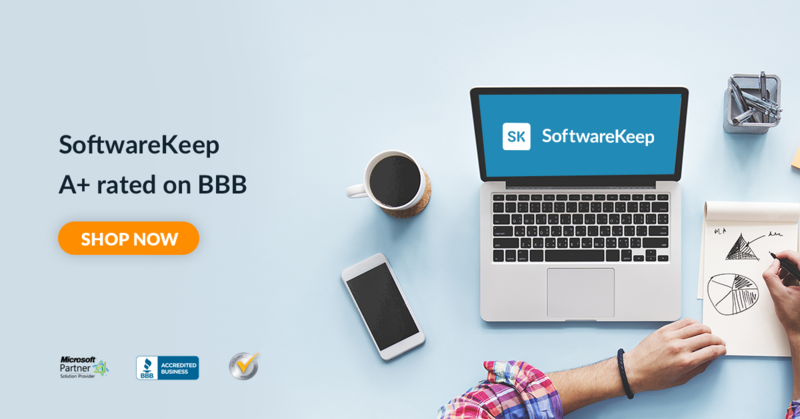 Check Based on Entity and select Account or Contact to create a folder structure based on a specific entity (Account or Contact), or else you click on NEXT without checking if you don’t want your folders to be automatically created based on the Account or Contact entity. 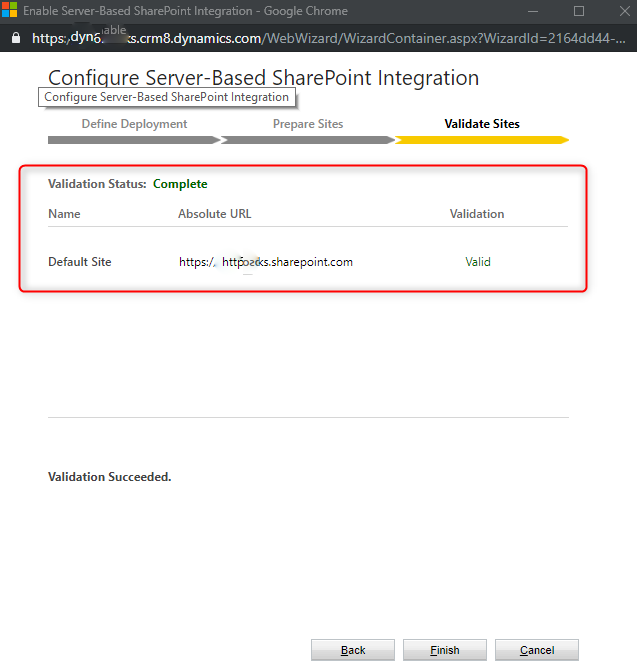 Now you can see in the below image that the SharePoint Online Document Library has been created and status shows Succeeded. Click FINISH. 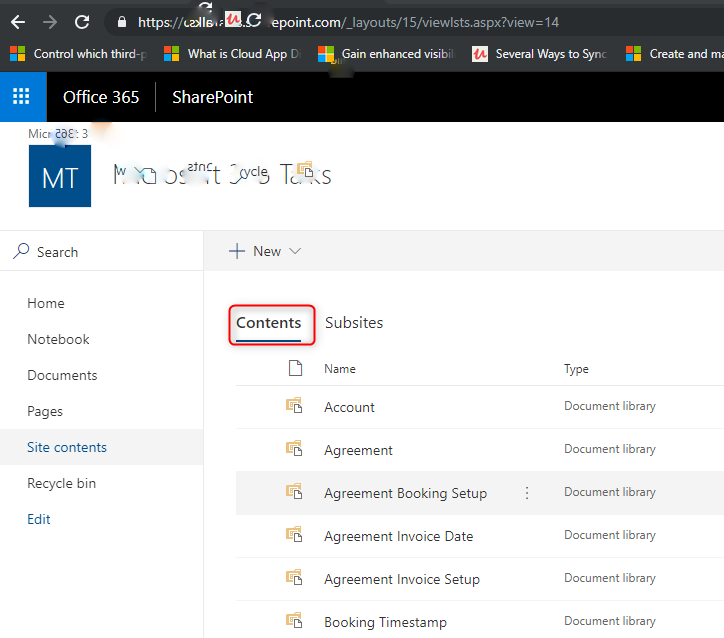 You can see in the below image Document Libraries has been creating for the entities under SharePoint site (https://<Org name>.sharepoint.com). You can access the same by going to Site Contents. 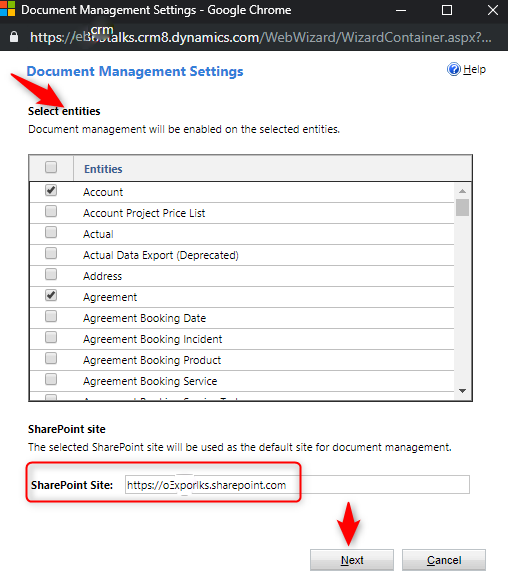 By this way, you can leverage the power of Document Management through SharePoint Online and also keep your Dynamics 365 for Customer Engagement Entity records secure using SharePoint Online features. 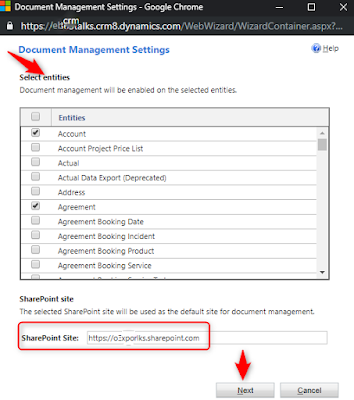 Go through below links to know how we can secure our documents ins SharePoint online.